A budget agreement reached last week included language that paves the way for cotton producers to participate in Title I commodity programs of the Farm Bill. 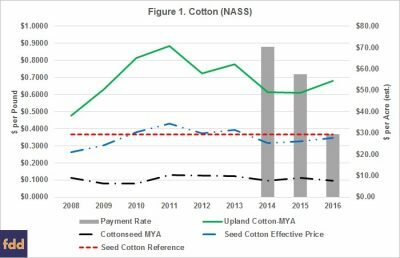 After previous unsuccessful attempts to facilitate this change to the 2014 Farm Bill, the new provision allows cottonseed to be an eligible program commodity effective with the 2018 crop year. Due to a World Trade Organization (WTO) ruling in favor of Brazil over U.S. cotton subsidies, the 2014 Farm Bill removed upland cotton from Title I program benefits (Agriculture Risk Coverage (ARC) and Price Loss Coverage (PLC)). In February 2016, Sec Vilsack explained why he denied this request. In December of 2015, a bipartisan coalition of 100 lawmakers urged the Secretary of Agriculture to take action on cottonseed. At a House Agriculture Subcommittee hearing in April of 2017, Georgia farmer Ronnie Lee, the Chairman of the National Cotton Council, indicated that, “Cotton policy in the 2014 Farm Bill was enacted largely in response to a [WTO] trade challenge brought by Brazil against certain components of U.S. farm policy and select cotton-specific policies. 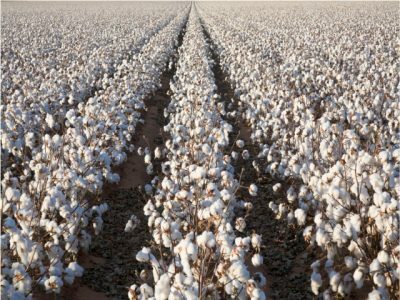 Support can be provided for cottonseed without running afoul of the agreement with Brazil that settled the WTO case and without violating U.S. commitments under the WTO. We strongly believe we need a cottonseed policy in place to help provide support to our producers as a bridge until the new farm bill is enacted, hopefully before the expiration of the current bill in 2018. “National Agricultural Statistics Service (NASS) Quick Stats data is used to estimate the PLC program operation for seed cotton under the provisions of the House bill….Estimated payment rates by year are $70.46, $57.53 and $29.55, respectively, in crop years 2014 through 2016.” Coppess, J., C. Zulauf, G. Schnitkey, and N. Paulson. “Reviewing the Latest Cotton Proposal.” farmdoc daily (8):5, Department of Agricultural and Consumer Economics, University of Illinois at Urbana-Champaign, January 11, 2018. On Thursday, DTN Ag Policy Editor Chris Clayton reported that, “The federal government shutdown briefly early Friday morning before the U.S. Senate and House of Representatives voted to approve a much-criticized spending bill that includes some key agricultural programs. The budget agreement includes provisions for dairy and cotton farmers that will boost the baseline funding for the next farm bill by $1.2 billion. 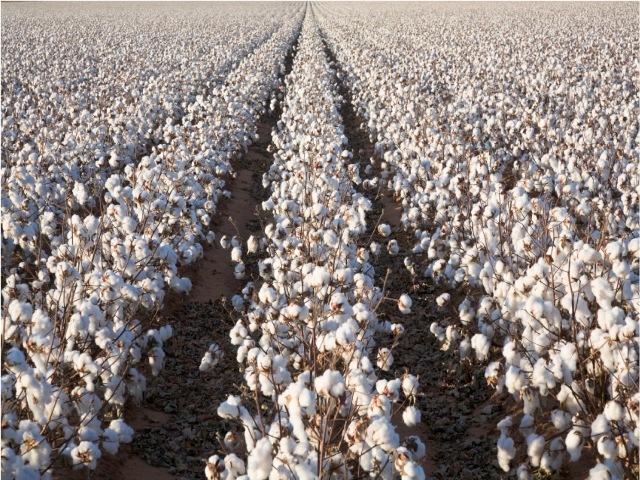 Cotton farmers will be allowed to enroll in the Price Loss Coverage program or Agricultural Risk Coverage program to collect farm-program payments for their cottonseed. The NCIS release added that, “Conaway said the bill leaving his committee will include a strong crop insurance component, and he will work to fight off attempts to weaken crop insurance.